MADE IN EUROPE - Amberta products are crafted in Europe using most advanced production methods. Stamped .925 for authenticity and quality assurance checked. DELICATE DESIGN - Very lightweight and comforatble to wear. Width: 1.7 mm. 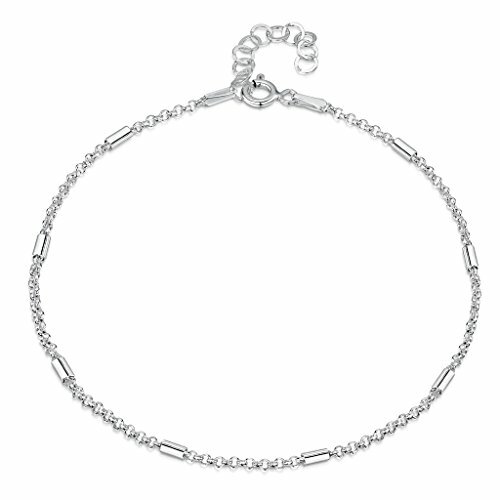 Metal Weight: 1.7 g. Chain Length: 9 in + 1 in chain extender. If you have any questions about this product by Amberta, contact us by completing and submitting the form below. If you are looking for a specif part number, please include it with your message.